On the eighth anniversary of the arrest of the symbols –the leaders, residents have stood up in solidarity with them. On Sunday, March 17, 2011, the town of Jedhafas witnessed an angry stand near the house of Professor Hassan Mushaima and the town of Nuwaidrat, a second stand near the house of, the symbol ,Abdul Wahab Hussein. 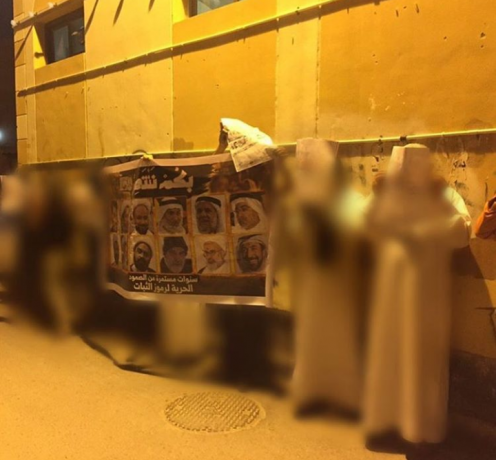 The participants raised the pictures of the symbols and banners of the revolution, and demanded their release, announcing their adherence to their goals for which they were arrested.